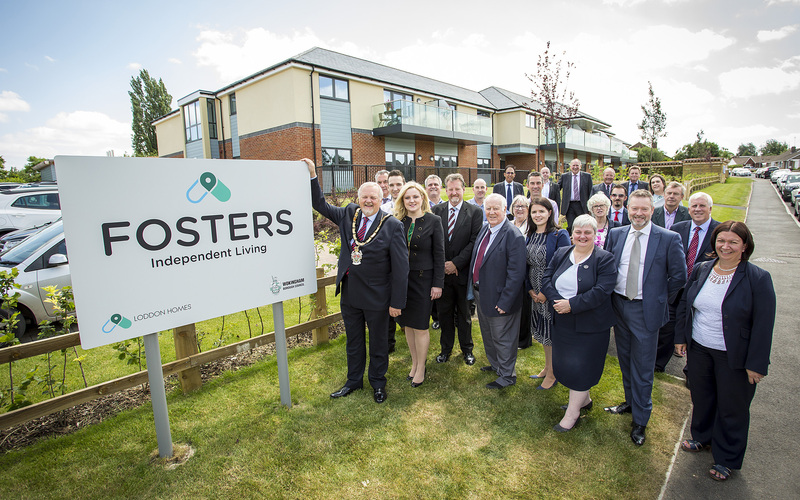 Thursday 14 June marked the official opening of Fosters, an independent living scheme for older people in Woodley. This scheme built by Wokingham Borough Council owned development company Wokingham Housing (WHL) forms a corner stone of the Council’s commitment to providing the very best living options for older people in the Borough. The unveiling of Fosters was carried out by the Worshipful Mayor of Wokingham Borough Councillor John Kaiser. 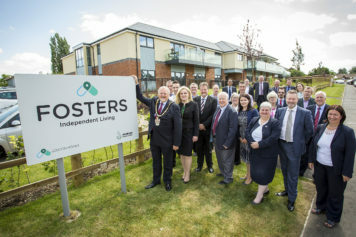 Councillor Kaiser has a particular interest in the scheme as a sitting Non-Executive Director on the Board of Loddon Homes who now own the development and is landlord to the new residents living at Fosters. Councillor Kaiser was joined by representatives from across the Council, WHL, Homes England, Loddon Homes and Optalis who are care provider for the scheme. Fosters, was made possible due to a £1.5million Homes England grant from the Care and Support Specialist Housing Fund. This grant, as well as funds from private developers in lieu of providing affordable housing on their sites (commuted sums), along with loan funding taken out by Loddon Homes, enabled WHL to build this development of 34 one bed affordable rent apartments. Each apartment has a double bedroom, an open plan kitchen and living area, en-suite wet rooms and a private terrace or balcony; as well as access to all the communal facilities, including two lounges, a restaurant and lovely landscaped gardens. A time-lapse film that shows the complete build process of the development can be seen below. Leighfield – Wokingham Housing from Interval Films on Vimeo.